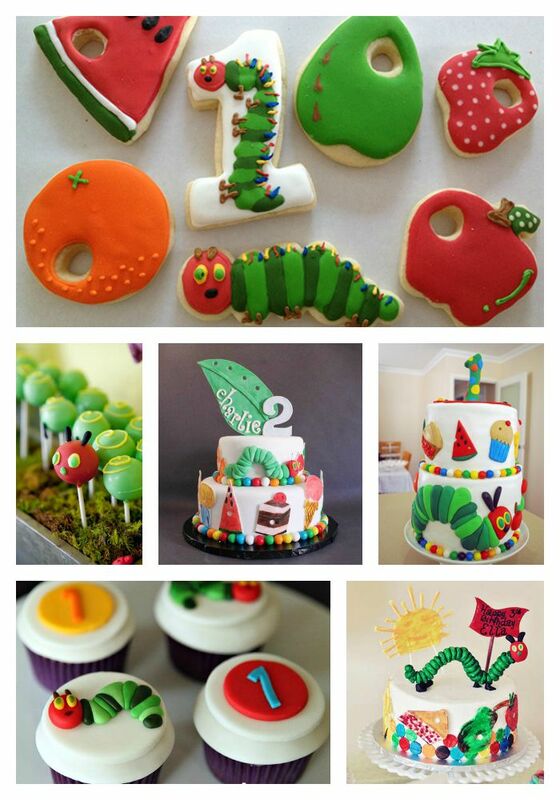 Very Hungry Caterpillar week continues and today we have all sorts of fun Very Hungry Caterpillar party treats you can do for this party theme. 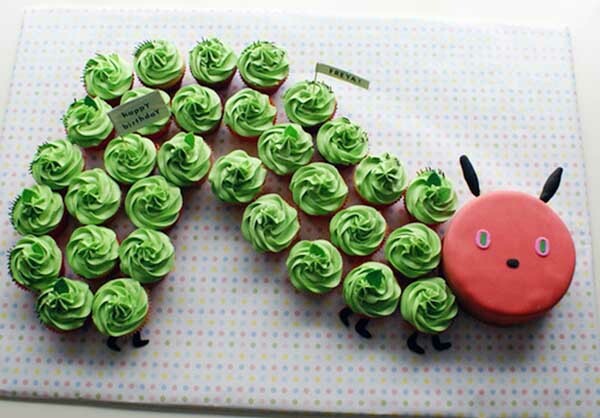 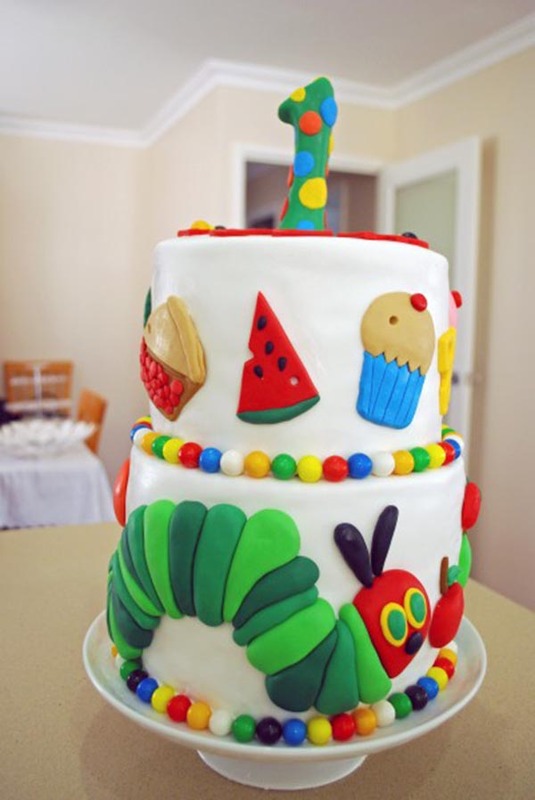 As if the Very Hungry Caterpillar wasn’t already adorable on his one, he is even cuter sitting on top of a cake or cupcake or made out of a cookie! 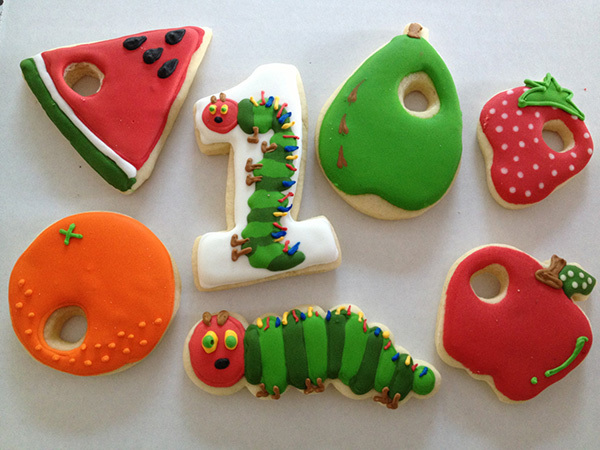 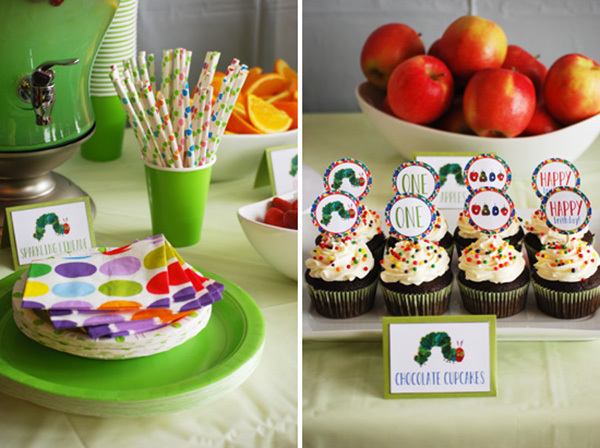 There are all sorts of different looks and styles you can do for Very Hungry Caterpillar party treats too. 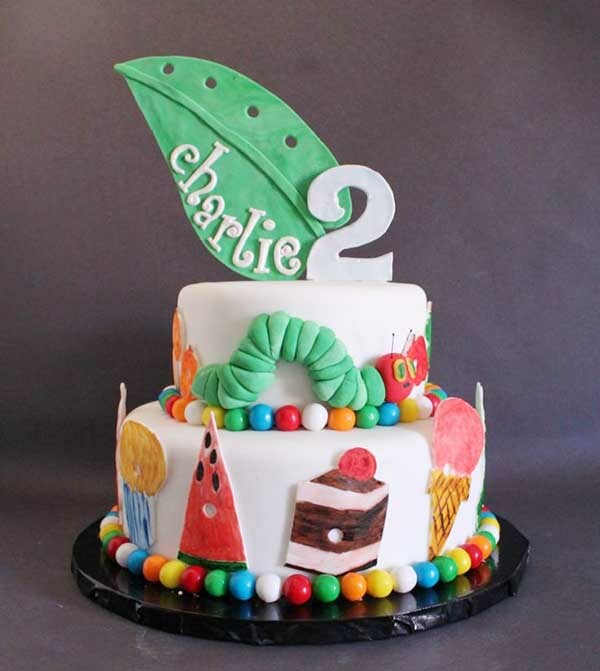 You have have a bright and colorful cake or one decorated with artwork from the book. 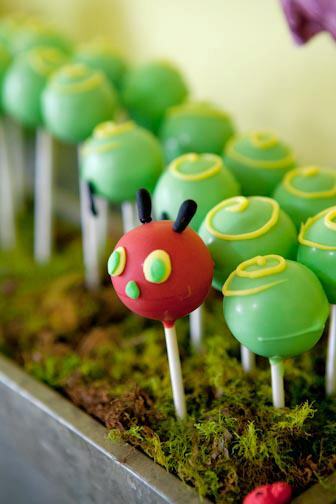 You cake hungry caterpillar cake pops or even a cupcake cake too! 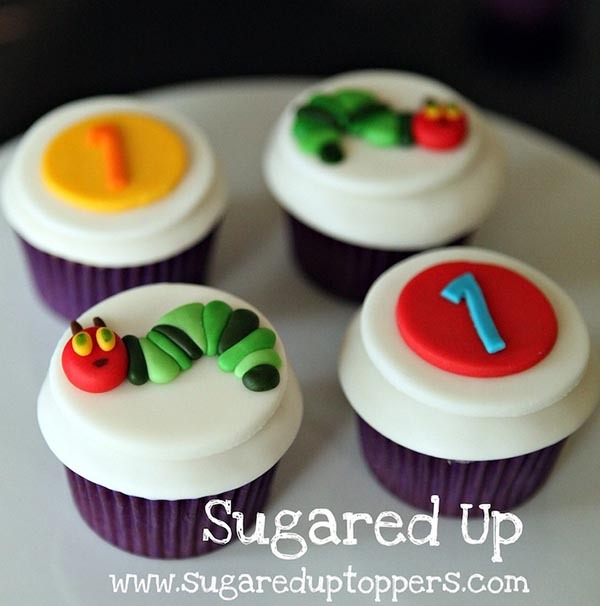 We love the amazing hungry caterpillar cupcake toppers we spotted for this round up, especially the seriously amazing handmade fondant ones. 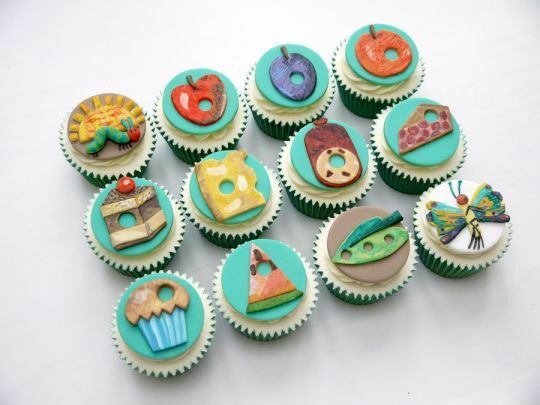 It so hard to pick a favorite here because each one of these treats looks completely amazing and delicious too…almost too good to eat sometimes! 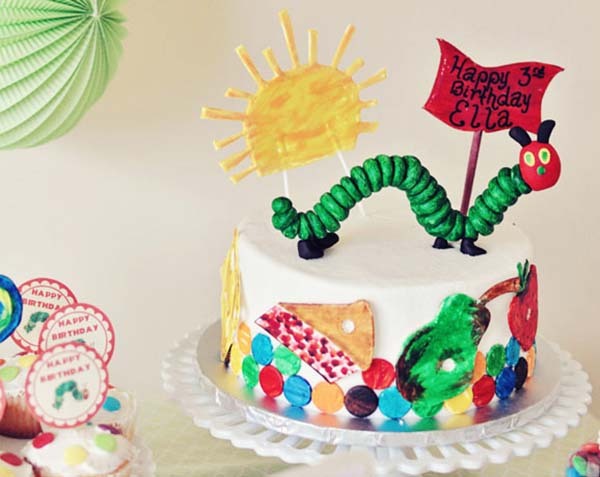 This roundup of Very Hungry Caterpillar party treats is FULL of lovely ideas and inspirations that will definitely have fan raving about your Very Hungry Caterpillar Party!